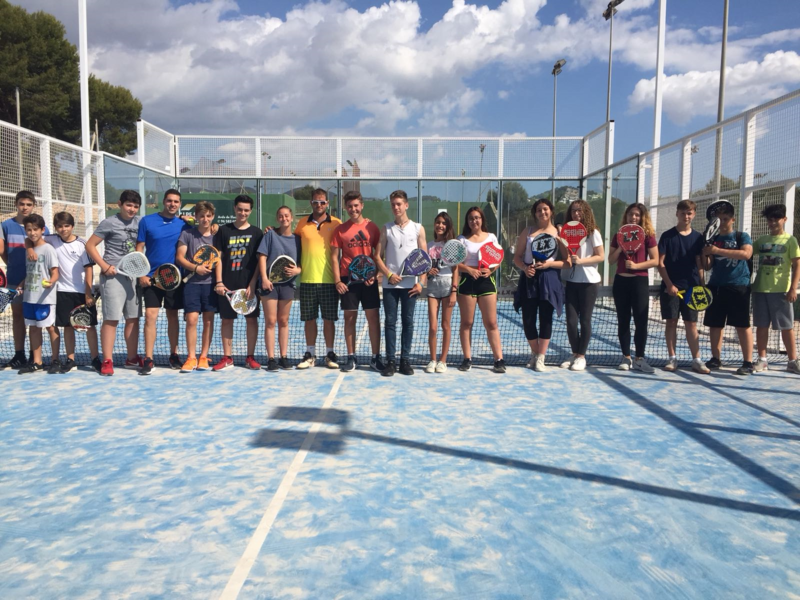 More than 600 schoolchildren from Calp used throughout this school year the facilities of the Calpe Tennis Club in their physical education classes through the agreement signed between the club and the Town Council of Calp for four years. Through this agreement the Town Council provides a grant of 20,000 Euros to defray the expenses derived from the execution of the first phase of the project of conditioning and suppression of architectural barriers in the facilities in the Calpe Tennis Club. The works intend to adapt club facilities to promote the practice of sports among people with functional diversity. The objective of this initiative is to comply with the legislation regarding Equal Opportunities and Universal Accessibility for Persons with Disabilities in order to achieve full equality for this group. Concerning the Club, it collaborates in the promotion of sports among schoolchildren by giving its facilities to all Calp educational centres, including the Secondary Education Institute, the Gargasindi Special School and the Maite Boronat Occupational Centre. The activities are carried out during school hours from September to June. The club also gives its facilities for the celebration of sports events promoted by the Town Council or other similar charity events. In addition, the swimming pool, the pelota court and the five-a-side court will be used for local teams training. Both the Town Council, represented by the councillor for education Pilar Cabrera, and the Tennis Club, represented by its president Pascal Lafitte, stress the need to correct social obstacles that limit access to sports for people with disabilities.